I was strolling through an Asian market when I spotted something called Special Uraro. How could I pass it up?! I couldn't. Special Uraro are tiny cookies, about the diameter of a nickel, made of arrowroot. And, it turns out, they are incredibly dry and crumbly. They have a vague coconut taste, but the texture is so unusual that the taste hardly matters. I opened the package when my inlaws were here for dinner. Despite the fact that the cookies are tiny, neither my father-in-law nor Trevor finished theirs. Not a good sign. I rated them a 5, but that was the highest rating they received. The others said 4, 3, 3 and 2. I did end up finishing the rest of the package eventually. After trying them, I found this interesting review of Special Uraro. I agree on every count. 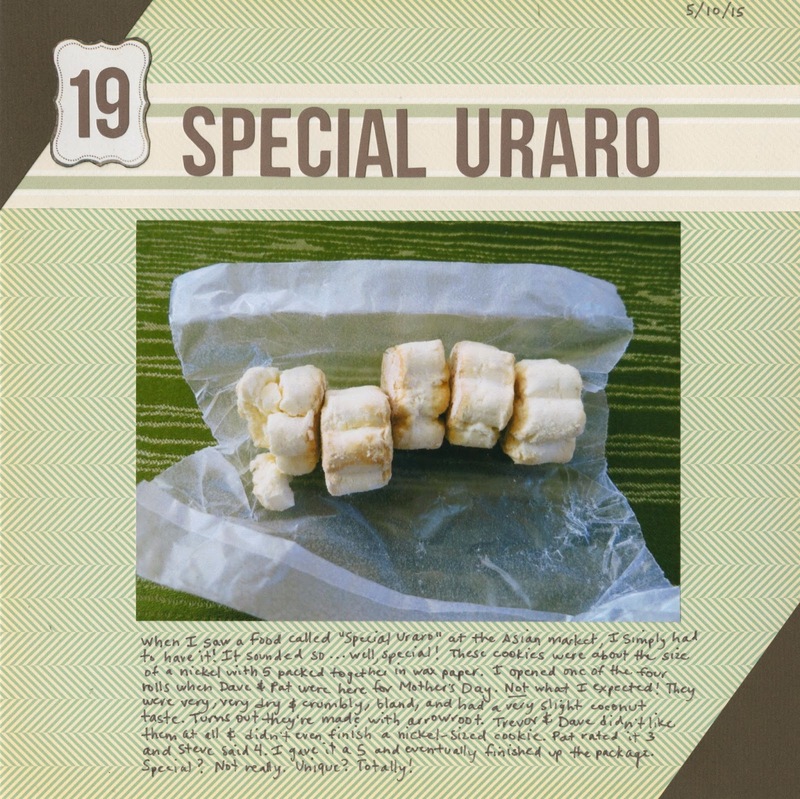 Special Uruaro: Special? No. Unique? Totally. EEK! The votes aren't good on this one!!!! !